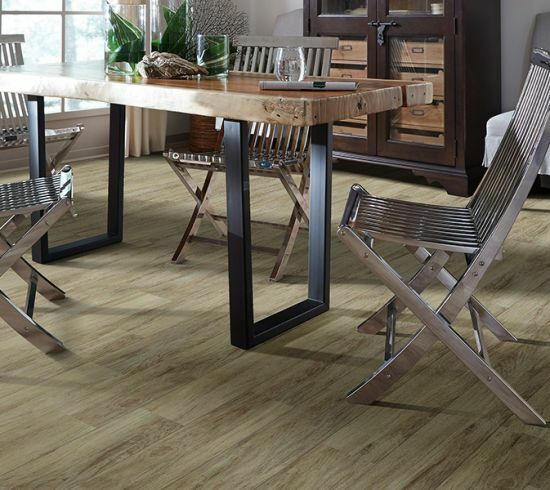 When it comes to assuring your overall peace of mind concerning your floors, you install waterproof flooring. The fact is,even homes that aren’t in an area that is particularly prone to flooding can reap great benefits from this material. From spills to accidents, to moisture-laden atmospheres, you can expect no less than complete protection with these floors in place. They are especially helpful in homes where children and pets roam free, but can still be a huge hit during dinner parties or large get-togethers. Floorz is based in Copley, OH with a showroom that serves the communities of Akron, Cleveland, Copley, Medina, and Wadsworth. We have an excellent selection of floor coverings and provide friendly, courteous, and knowledgeable sales staff to help you find exactly what you’re looking for in a flooring. We also offer materials and services that are affordable, no matter what your budget, so be sure to stop by for a visit at your convenience. We look forward to the opportunity to earn your business soon. 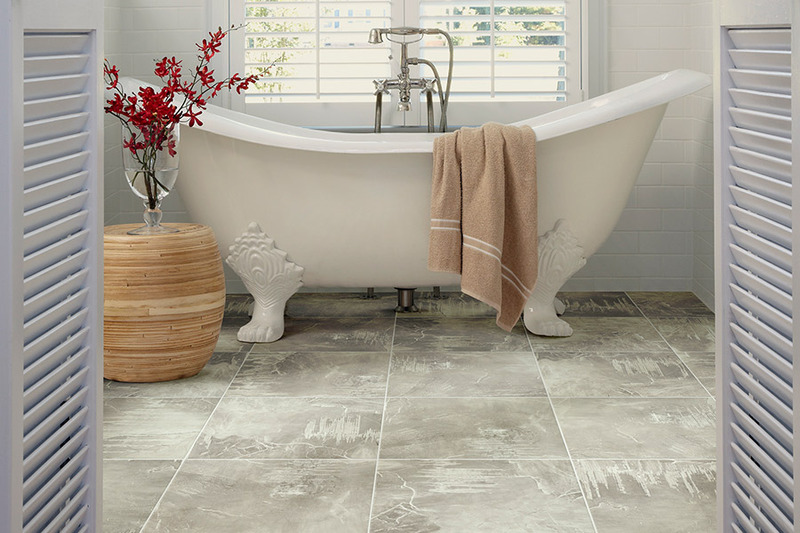 It’s likely, if you’ve researched waterproof flooring very much, that you’ve heard the term“WPC”. This simply stands for wood plastic composite and describes a core that is impervious to water. While it does have the word wood in the name, there are no actual wood products used in the manufacture of this material, as that would defeat the waterproof purpose altogether. Instead, wood byproducts such as wood resin are used to create a greater binding with the other ingredients. 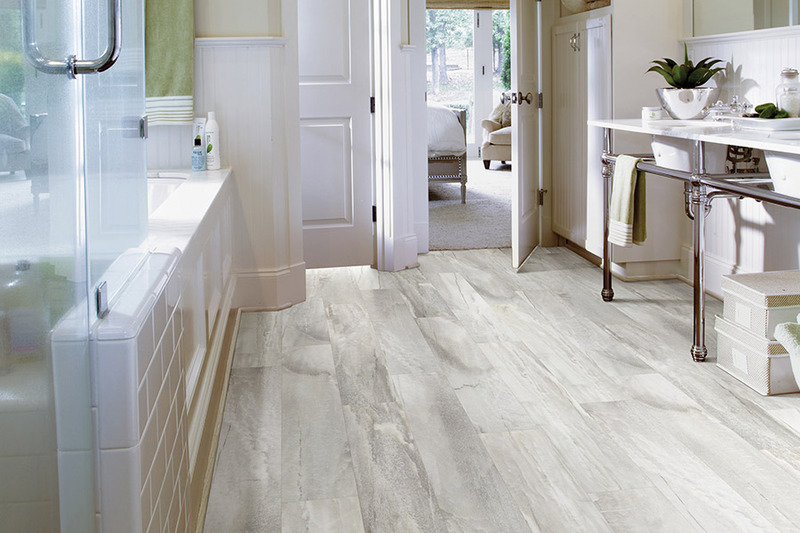 Some of the materials you’ll be able to choose from in the waterproof flooring line include luxury vinyl planks and tiles, ceramic and porcelain tile, some natural stone, and some forms of laminate, to name a few. These materials include such an extensive selection of appearances, matching your existing decor will never be a problem. 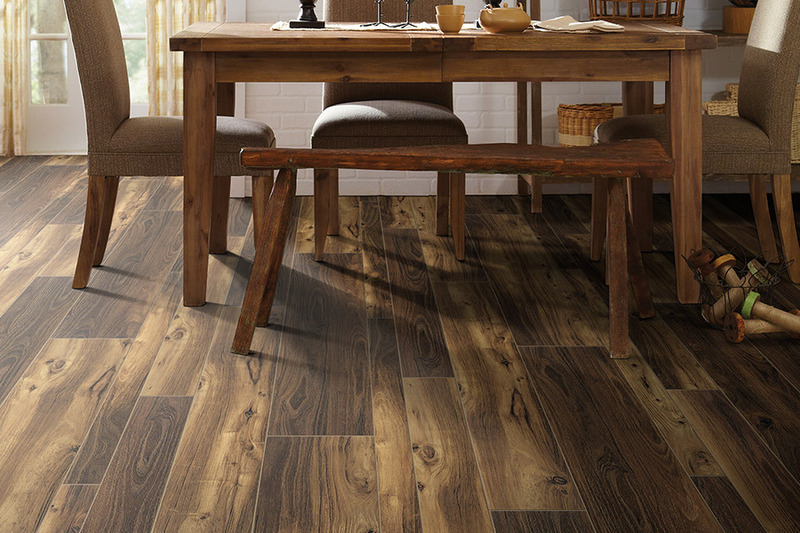 From the look of solid hardwood in luxury vinyl to big, bright colors and patterns, you’ll find something that adds true presence to your home. 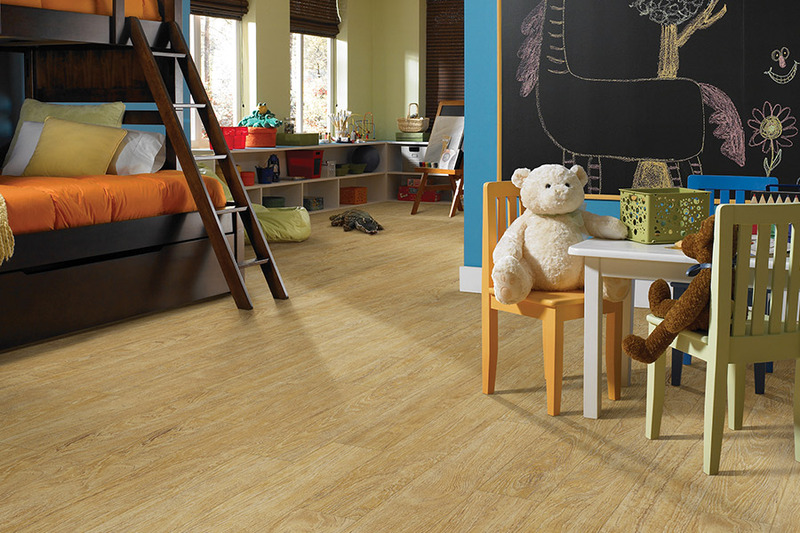 Waterproof flooring offers the ability to put the wood look into your basement, via luxury vinyl plank. 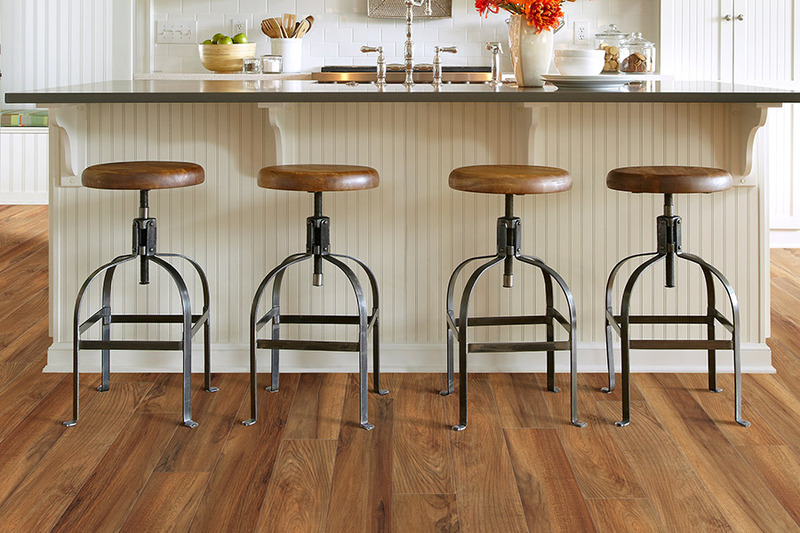 For those with hardwood flooring through the rest of their home, this is an excellent way to keep the look going all the way through your home. 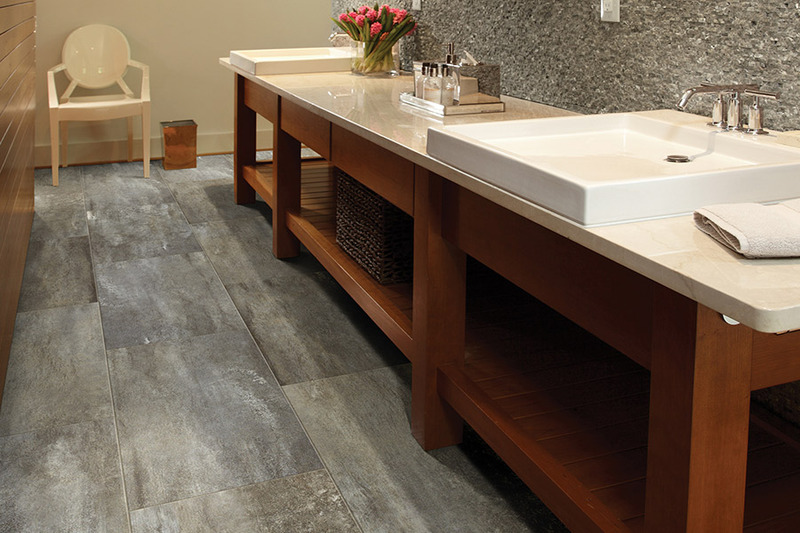 In homes with tile, you can even install it outdoors to create a flow from inside to outside.